Distinguished in hospitality and events for years, we offer you a rich variety of venues and fresh ideas, which aim to remain deeply etched in your memory. Company presentations and meetings, conferences, workshops and exhibitions. High-standard and requirement events, hosted in specially designed halls. Seize the opportunity to make your holiday a complete experience, with a wide range of activities, carried out with organization and safety. Constructions and designs that fully harmonize tradition with technology. 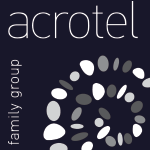 © 2016 Acrotel Family Group. All rights reserved.